Bob and Veronica Johnson have been customers of British Gas for a number of years, having taken out the company’s HomeCare renewal policy, which covers various maintenance aspects of domestic central heating boilers. Mr and Mrs Johnson appeared in the news over the weekend after the couple criticised British Gas for raising the cost of its annual insurance premium. Mr Johnson was particularly upset because British Gas had informed him that the rise was a result of his being a ‘high risk’ customer. Although Mr Johnson’s dissatisfaction is understandable in the current economic climate, it perhaps ought to be noted that boiler indemnity policies are no different than car insurance policies when it comes to pricing by risk. As such, if a customer makes an exceptionally high number of claims or engineer call-outs, it is not unreasonable that an insurer would adjust the renewal price accordingly. Mr Johnson told one newspaper: “Over the past five years the cost has increased by an average of £9 but this year it increased by a whopping £69. we were told we were a bad risk”. After conceding that he had called out British Gas engineers on seven occasions over the past five years, Mr Johnson added: “three of those calls-outs were because they didn’t fix the problem during the initial visits. We are being punished because we dared call them to fix the central heating system in accordance with the deal we had”. British Gas has offered Mr and Mrs Johnson a goodwill gesture of £50 but maintained that its pricing structure is fair. 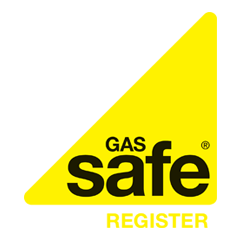 A British Gas spokesperson said: “Mr and Mrs Johnson were quoted £308.28 for the HomeCare renewal, which is a risk-based adjustment taking into account the make/model of boiler, breakdown history over the past two years and any [future] costs”. This, it is argued, is no different than any other type of insurance; indeed, all insurers set premiums against risk. Central heating maintenance policies are extremely valuable in order to ensure a fully functioning domestic system; however, homeowners who experience continued breakdowns should not rely on such policies beyond a certain point and are instead advised to upgrade their existing boilers to newer condensing boilers.